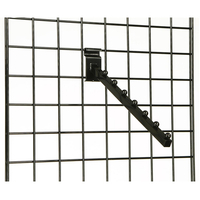 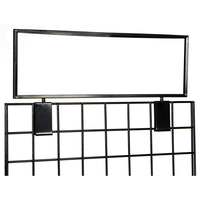 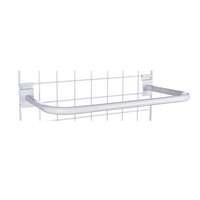 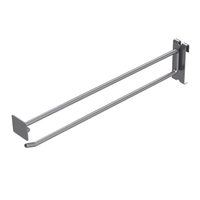 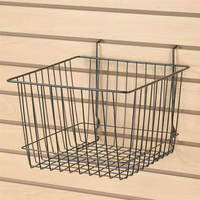 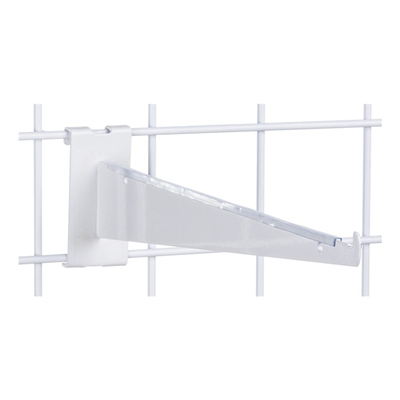 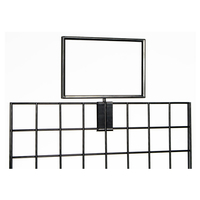 The 12” gridwall shelf bracket is a convenient and cost effective fixture to use to display products. 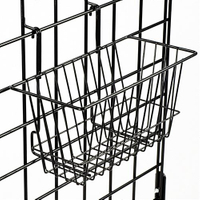 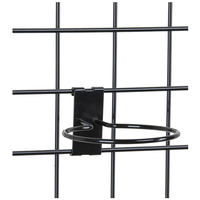 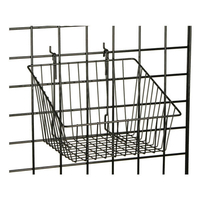 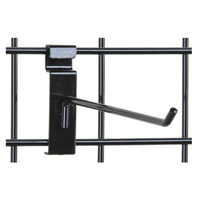 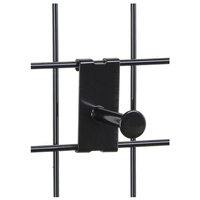 Constructed of steel and powder coated, the panel hooks are both attractive and durable. 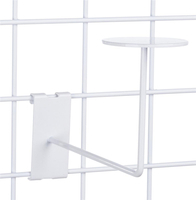 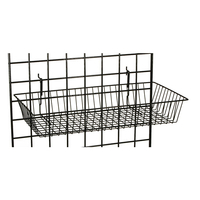 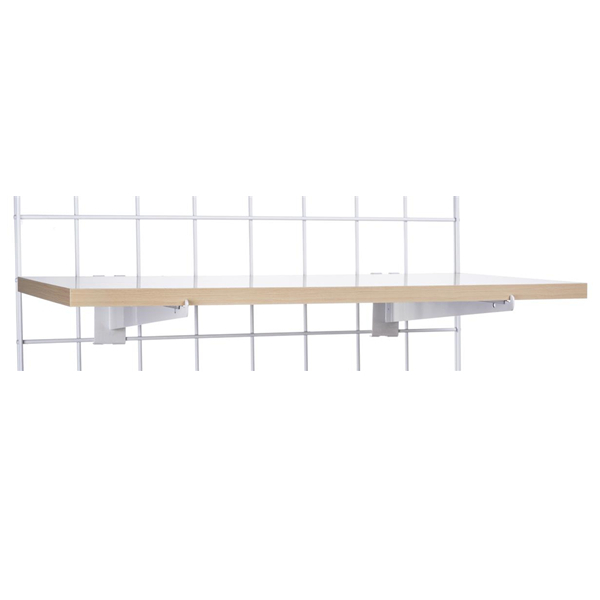 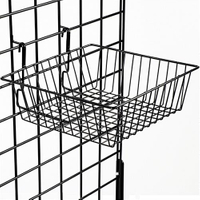 Allowing for better visibility and organization of products, the hangrail gridwall shelf bracket can be paired with one of the melamine ledges available on this site for a customized display. 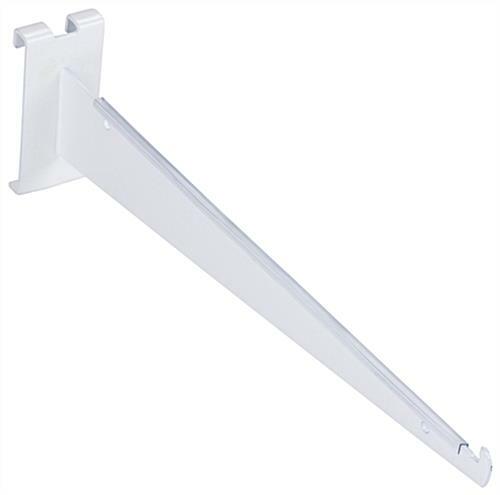 This fixture requires no tools for mounting. 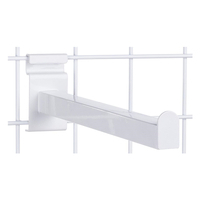 The panel hooks can be adjusted, detached, or added at your will with ease by hooking the clasp of the gridwall shelf bracket over the hangrails. 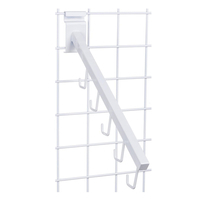 We offer this as an accessory to be added to your panel display.